Many of us do not realize how much assistance quality signage provides us on a daily basis. We rely on signs to navigate traffic, locate our favorite stores, and even use signs to find our dream home! 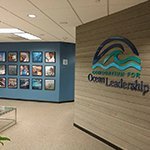 Signs help to educate, excite, and provide needed information that allows a visitor to your business to properly navigate your facility without requiring any personal assistance. 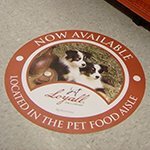 Indoor signs are utilized in many areas of retail stores, office buildings, educational facilities, churches, government buildings, and anywhere else people may need assistance. The exact blend of signage that you use will depend on your specific facility type. 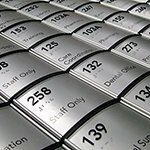 However, there are many common elements that are often found in interior signage, such as ADA/Accessibility signs, attractive wall logos, wayfinding signage, directories, sale banners, point of purchase displays, and more. Part of building a trusted business is professionalism and branding. Many businesses expect their employees to dress in a uniform. Consider your collection of marketing materials to be your brand’s uniform. 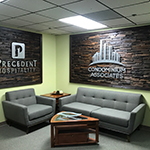 You will want to use consistent fonts, colors, and styles throughout all branding initiatives, including your signage, for a truly professional appearance. 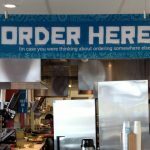 We can create an entire collection of cohesive interior signs for your business, or can create custom signs to match your existing signage. 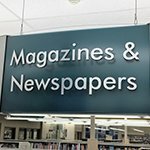 New business or organization with no existing signage or branding standards? Our graphic design team is here for you. 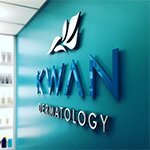 We can assist with not only creating the signs that you need now, but also with building you a brand profile that will allow you to get attractive, matching signs in the future. We handle everything from the initial consultation all the way through installation and maintenance of your indoor signs. Our expert designers, craftsmen, installers, and repair techs are experienced and dedicated to providing high-quality products and outstanding customer support. 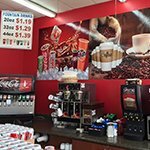 Whether you are looking for a complete signage collection, additional signage or display components, or just need a replacement for a damaged sign, we are here to support you. Signs ID is a solution-oriented, full-service partner for all of your interior signage needs. Regardless of your order size, we are committed to high-quality production, outstanding support, and fast turnaround for all your sign & graphic needs. For your Free Consultation with an Indoor Sign Specialist, contact Signs ID today at (980) 949-0797.